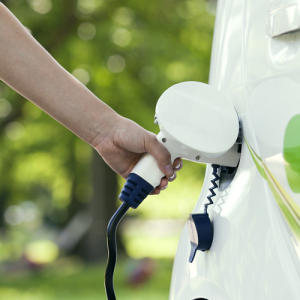 Since its inception in 2011, Plug’n Drive has been driving the Electric Vehicle (EV) revolution, encouraging commuters to take advantage of the economic and environmental benefits of driving electric. Cara Clairman is the founder and CEO of Plug’n Drive, a leader in Canada’s Electric Vehicle (EV) industry. She is also the proud recipient of the 2017 WIRE Woman of the Year Award. With over 25 years in the sustainability, energy and environmental fields, she aims to continue expanding Plug’n Drive’s initiatives to provide a more sustainable commute for consumers and to reduce GHG emissions to the environment. In Cara’s words, she has been working in the sustainable field “forever”. That is not an overstatement. Cara studied Biology at Queens University, and followed that up with a combined law degree and Masters in Environmental Studies from York University. Upon graduation, she began working at Tory’s LLP as an Environmental Associate before moving to Ontario Power Generation’s (OPG’s) law division as their environmental lawyer. After that, she moved to VP of Sustainable Development. This is where she oversaw OPG’s sustainability performance, including responsibility for OPG’s environmental policies and programs. Cara’s motivation to get into the EV industry came when she realized that OPG’s surplus and low emitting baseload generation, was a perfect fit with electric cars that would mostly be plugged in at night when the surplus was high and cost was low. Especially since after closing coal, generation in Ontario is now mostly composed of nuclear and renewable energy sources. Given the alignment between the economic and environmental benefits, Cara saw the need for an independent not for profit organization that would help consumers to get on board – and this led to the creation of Plug’n Drive, with OPG as her first sponsor. 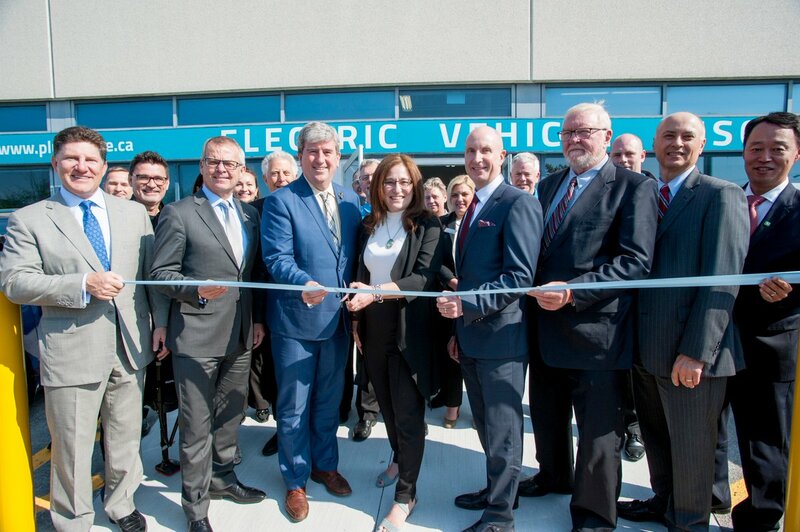 Since starting Plug’n Drive, Cara and her growing team have helped spread awareness, and have arranged test driving experiences to help Ontarians learn about the benefits and advantages of EVs. She frequently travels around the province and across Canada to talk to a variety of audiences including clean tech, automotive, energy conferences, utilities and NGOs. Range anxiety refers to drivers thinking that EVs will not be able to travel as far as a gasoline powered car on a single charge. However, most people don’t realize that the distance driven by an average GTHA driver is well below the range of modern-day EVs. Furthermore, drivers believe that EVs are more expensive as they only see the upfront cost, but Cara notes that it’s important for consumers to consider lifetime costs or ‘total cost of ownership’ associated with their vehicles (i.e. maintenance and gasoline), as well as the generous government incentives currently available in the province of Ontario that can reduce the cost by as much as $14,000. Lastly, the infrastructure availability for EVs is an ongoing concern for many consumers. They are worried about the limited amount of charging stations available. This is being addressed by a number of stakeholders including the Provincial Government, EV station manufacturers, municipalities, utilities, condo builders, and consumers themselves. Many cities have now built and reserved parking spots where EV owners can park and charge their car. 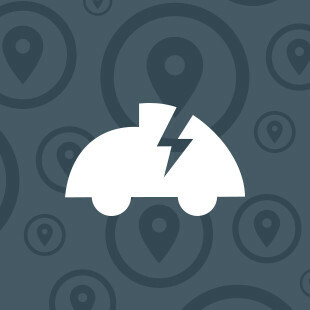 There is also a new building code requirement where new houses with a driveway or garage have to have provisions for installing an EV station. Condo builders are also looking into installing stations within their parking lots to help support their occupants’ EV needs. In fact, Plug’n Drive just released a new guide to assist Condo owners and boards get their buildings EV ready. 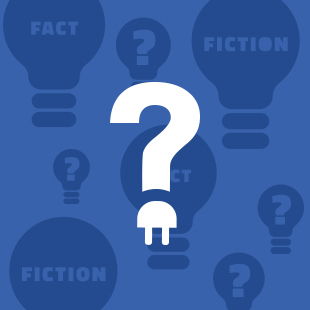 Plug’n Drive helps to close these information gaps through team presentations, an informative website, and through their Plug’n Drive EV Discovery Centre. They have also published other reports including EV GHG reduction scenarios, and a guide to EV infrastructure in Condominiums. They also have an online EV charger store called Charge My Car that sells various models of EV chargers. This on-line store has the widest selection of home chargers in Canada and will help consumers choose, buy and install a charger in their home. Last year, Cara was the recipient of WIRE’s own Woman of the Year award. Cara explains that she is proud for being recognized for her hard work through this award. Specifically, she is happy that her persistent devotion to fighting climate change has inspired others to get involved. .
She went on to say, that during the nomination process, letters of support were sent in from past supervisors, colleagues and students who worked with her over the years. She had the opportunity to see the letters, which she says meant as much to her as any award she could receive. 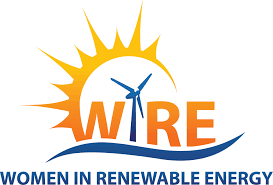 She is very appreciative to WiRE for this special recognition. Even with her busy schedule, Cara takes the time to give back to the community. She volunteers with Regesh, a social services organization. She is also on the Board of Directors of Scientists in School. This charity engages students from kindergarten to grade 8 through the study and exploration of science. Cara explains that this is a great way for kids to develop an interest in and a love for science, including learning about the environment. Even if the kids decide not to pursue a career in science, it gives them a chance to become critical thinkers, an important life skill needed in any career path. Cara invites anyone who wants to get into the clean tech industry to be unafraid of pursuing a varied path, especially if the opportunity takes you outside your comfort zone. This is the best way to learn and experience the most of what a prospective job or career can offer. Cara says persistence is one of the keys to success in achieving any goal – don’t let setbacks get you down! Use then as motivation to move forward. And sometimes if the job you really want isn’t out there, you need to create it yourself – just the same way Cara carved out a space for her own sustainable development passions through the founding of Plug ‘N Drive. She goes on to say that public speaking is an essential skill that everyone should develop and have. In any job, you will have to pitch or present sometime or another. Whether it be for a small group of coworkers or an external client, presenting with confidence and being persuasive is a valuable skill. 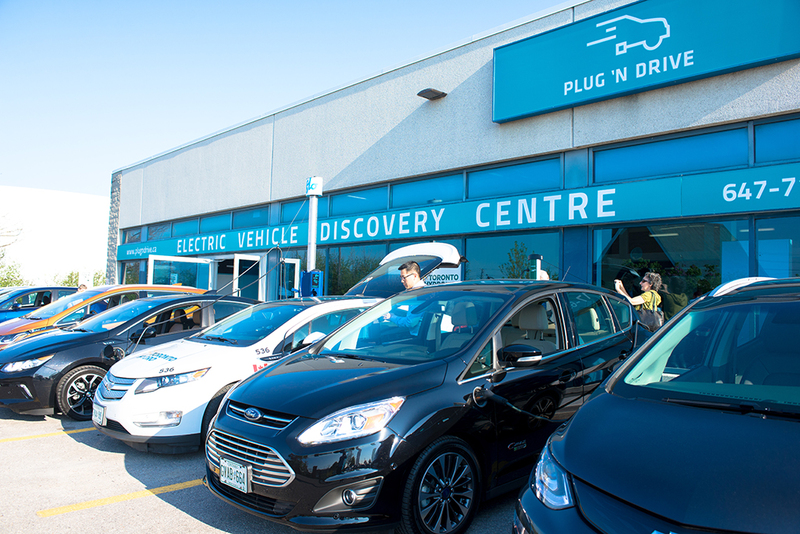 Just one year ago, Plug’n Drive opened the Electric Vehicle Discovery Centre in North York. 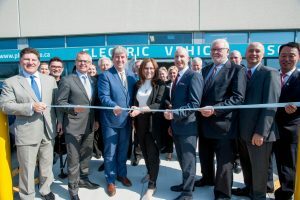 This is a first of its kind centre that provides a ‘one stop shop’ for educating consumers about EVs. Here, interested drivers can come and learn more about EVs and also test drive, pressure free, several models of EVs. Cara explains that when people visit, they usually spend 3 to 4 hours roaming the centre and testing out a variety of vehicles so that when they leave, they feel more educated and ready to make the switch from gas to electric. 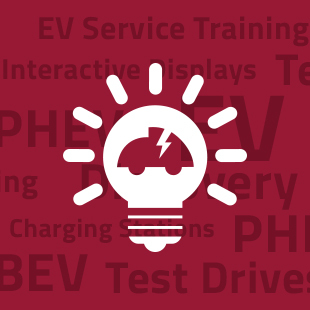 The EV Discovery Centre is also becoming a popular event space where interested external companies can host events, giving their employees or customers an opportunity to become educated in a fun and interactive venue. Not to worry if you don’t live in the GTHA! 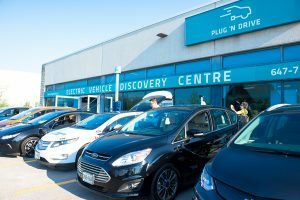 Plug’n Drive has continued its popular EV Roadshow events where they ‘pop up’ at local festivals and events, auto and home shows all over the province to allow people to come and test out EVs locally. In the future, Cara and Plug’n Drive plans to set up more EV Discovery Centres outside the GTA so that EVs can be made available to EVeryone! As for walking the walk, Cara confirmed that she drives an EV herself – two to be exact. She has driven a Nissan Leaf since starting Plug’n Drive in 2011, and recently bought a Chevrolet Bolt. You can test drive these models and many more at the EV Discovery Centre!